ich habe mich wohl gefühlt ! Super Hostel in perfekter Lage, nicht auszusetzen und gerne wieder!!! Very Secure and clean Hostel. The staff was super friendly and helpful. Spoke perfect German! :) The dorm was clean and had a locker in it. No separate lock is needed. The spot of the location is perfect - it is nearly in the center of the city. Arrival with a car is easy, cause there is a mall with a huge car park where you can drop your car off. (15 NOK/24 hours) Washing your cloth cost 50 NOK and the dryer 20 NOK (washing soap 5 NOK aswell) Enjoyed my stay and would highly recommend it! Es hat uns sehr gut dort gefallen. Sehr nette, hilfsbereite Mitarbeiter. Freundliche Mitarbeiter, die um das Beste ihrer Gäste bemüht sind. 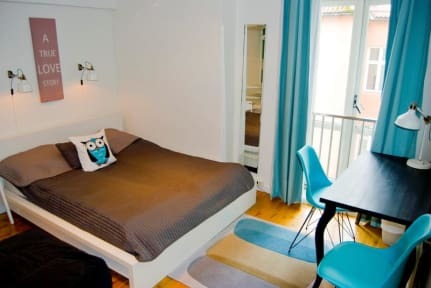 Quite busy hostel (most people stay only one or two nights) just a few minutes from the city center. Friendly staff. Clean facilities. Kitchen area is small but well stocked. Nette Location in Strandnähe, die sauber und günstig war. Allerdings sitzen unten im Restaurant nur Männer, vom denen man immer sehr kritisch beäugt wurde, wenn man kam oder ging ;) Alles in allem gut für den Preis. We stayed at the hostel for two days and didn‘t like it. The kitchen was so dirty and too small, the matrassds were terribly overused and our room was located right next to a super loud air conditionning and you couldn‘t close the window properly. Fortunately, the staff was very friendly, but that was, next to the nice location, almost the only nice thing about the hostel.